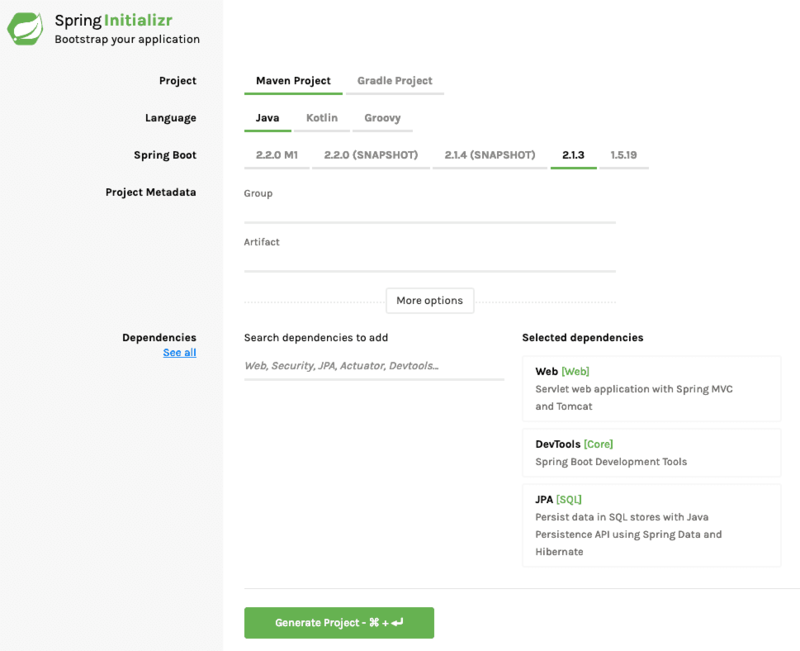 This guide will help you create a CRUD REST API/Service with Spring Boot, JPA and Hibernate. We will create a JPA Repository for a Student Entity and expose it using a Student Resource. Basics of designing a REST API. How to create a RESTful Service offering all CRUD operations? 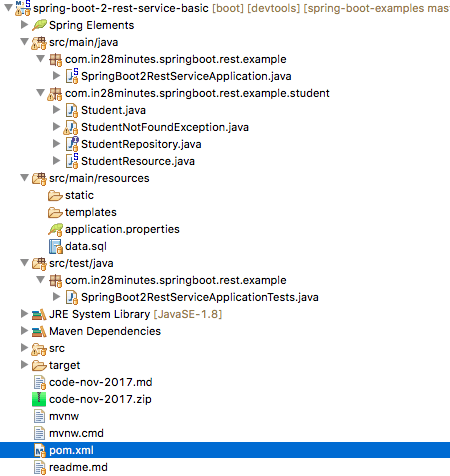 How to use Spring Boot, Spring MVC, JPA and Hibernate to create a RESTful API? 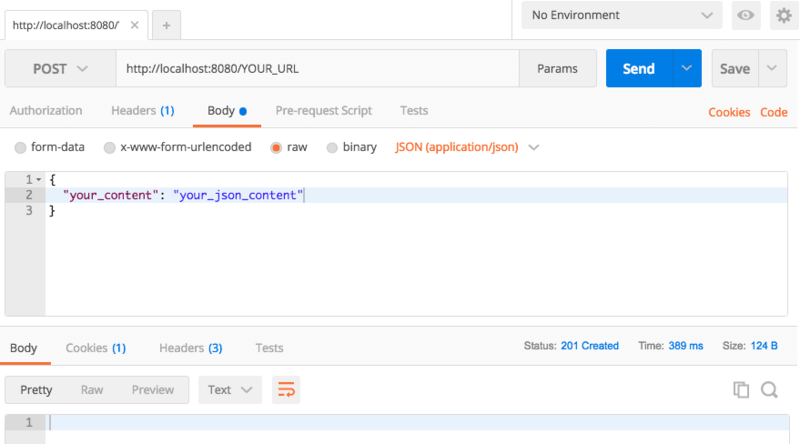 How to execute different kinds of REST API with Postman? What are the differences between GET, POST, PUT and DELETE request methods? These are not really mutually exclusive. Some SOAP services can actually be RESTful. When do you use JPA? Do not forget to add JPA and H2 as dependencies. Spring Boot Auto Configuration detects that we are using an in-memory database H2. It autoconfigures the property to create the database tables based on the Entities. We create a simple interface StudentRepository extending JpaRepository. We will talk about all the methods in the JpaRepository a little later. public interface StudentRepository extends JpaRepository<Student, Long> - We are extending JpaRepository using two generics - Student & Long. Student is the entity that is being managed and the primary key of Student is Long. JpaRepository extends PagingAndSortingRepository which in turn extends CrudRepository interface. So, JpaRepository inherits all the methods from the two interfaces shown below. Lets start with setting up the StudentResource class and then move into creating methods to handle different kinds of request methods to the Student Resouce. @RestController : Combination of @Controller and @ResponseBody. Beans returned are converted to/from JSON/XML. @Autowired private StudentRepository studentRepository : Autowire the StudentRepository so that we can retrieve and save data to database. Let’s create the method to expose the details of all students. Below picture shows how we can execute a Get Request Method on a Resource using Postman - my favorite tool to run rest services. 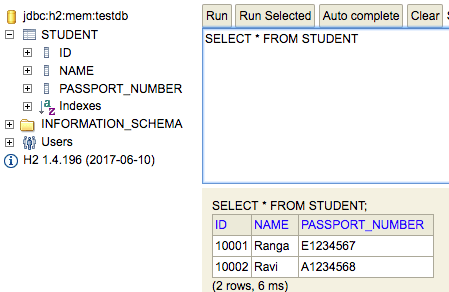 Let’s create a method to expose the details of a specific student. Delete method is simple. All you have to do is to call studentRepository.deleteById(id). Below picture shows how we can execute a DELETE Request method on a Resource from Postman - my favorite tool to run rest services. POST method is simple. All you have to do is to call studentRepository.save(student). Note that we are using @RequestBody to map the student details from request to bean. We are also returning a ResponseEntity with a header containing the URL of the created resource. Below picture shows how we can execute a POST Request method on a Resource from Postman - my favorite tool to run rest services. Before updating the student we check if the student exists. If the student does not exist, we return a not found statur. Otherwise, we save the student details using studentRepository.save method. Below picture shows how we can execute a PUT Request method on a Resource from Postman - my favorite tool to run rest services. Remember that you can check the updates in the database using H2 Console http://localhost:8080/h2-console after each of the requests.